"We encourage people to register early because sessions fill up fast. That's especially true of our extremely popular Paver and Compactor Operation and Maintenance class," said Wayne Tomlinson, Road Institute compaction training specialist. "Our students leave the classes with increased knowledge that will help them produce better quality mats, reduce operation and maintenance costs, and improve on a variety of other skills, all of which could help them earn higher bonuses." Sessions last two to five days and are held at the Road Institute Training Center in Shippensburg and Chambersburg, Pennsylvania, and at the Road Institute West location in Phoenix, Arizona. All instructors have decades of field and teaching experience, and they incorporate training on the latest DOT requirements. The paver and compactor operator courses also qualify toward NAPA Diamond Paving commendation requirements. The paver and compactor class with a Spanish-language focus will be Feb. 19–22. The 2018–2019 course schedule can be viewed here. More information on course descriptions, registration and hotel information is available online at RoadInstitute.com. 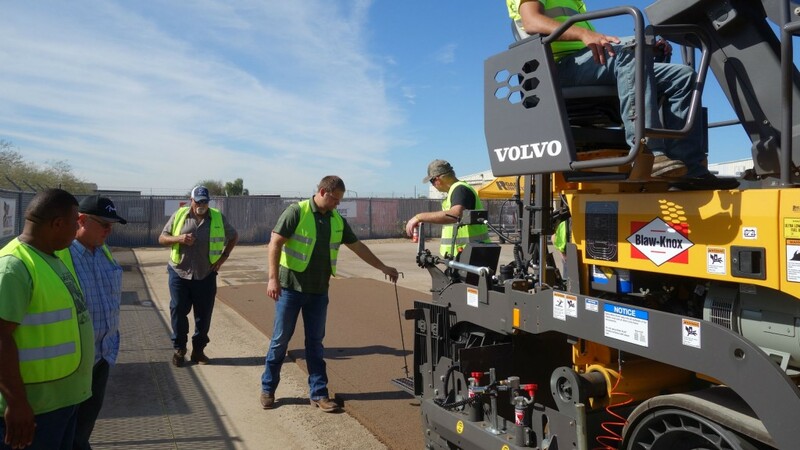 • Paver and Compactor Operation and Maintenance – Two days of classroom-style learning plus two days of hands-on application in best practices, including an overview of Compact Assist with Density Direct. • Automatic Grade and Slope Systems – Lessons on how to safely set up, operate and troubleshoot common control issues. • Large Asphalt Compactor Mechanics – Maintenance and technical training for large asphalt compactors, including system functions, troubleshooting, and adjustments of hydraulic and electrical systems. • Small Asphalt Compactor Mechanics – Mechanics for asphalt compactors under 7 tons. • Soil Compactor Mechanics – General service instruction for soil compactors. • Paver Hydraulic and Electrical Systems – Hydraulic and electrical systems of pavers with lessons that allow for hands-on troubleshooting. • Paver Screed Operation and Adjustments – Principles of paver operation, maintenance, mechanical adjustments, screed setup and screed running adjustments to ensure paving quality.